Well hello again. Still working like crazy from Codex orders (this is a good thing!) but I thought I’d tiptoe back into blog writing with this quick post. 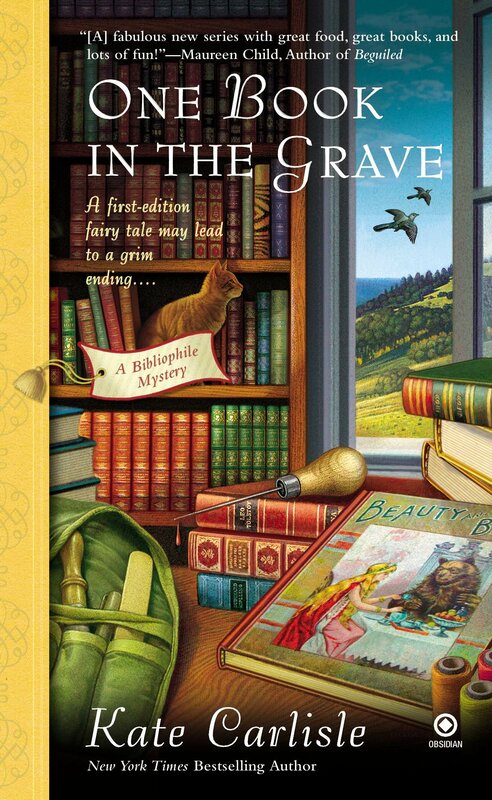 My friend Marilyn S. asked if I’d ever heard of the mystery books by Kate Carlisle that have a bookbinder as the main character. Nope. I hadn’t. So I requested them from my library and they’re so fun! 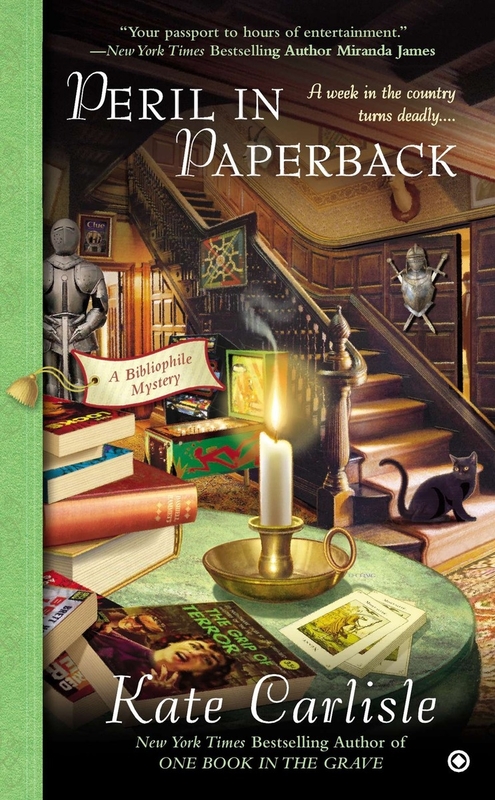 Brooklyn Wainright is the main character in the Bibliophile mystery series. She’s a bookbinder, book restorer and just generally crazy about books in any form. 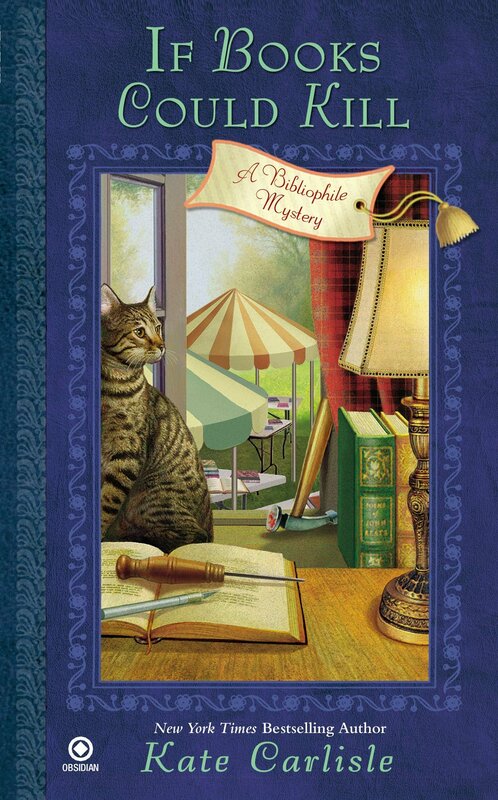 These mysteries are light and fluffy and easy reads. They fit in what I’d call the girlfriend mystery genre. The main character, her girlfriends and her family are the center of the stories (after bookbinding, artists books, and wonderful book details, of course) and there is a handsome man or two or three in every story. And a cat. I’ve read the first two books and think they are so much fun I’ve ordered the rest of the series from the library for my trip to San Diego next week. I love the careful details about the condition of the books, what will need to be done to restore them, mentions of book structures and Brooklyn’s passion about books. Bookbinder tools as weapons, why not? Bonefolders, blades, awls, goodness knows we injure ourselves enough while working with them! She even teaches an accordion book making class in the second story. If you’re from the Bay Area you’ll find them especially fun. Brooklyn lives in San Francisco, comes from Marin, and even mentions the San Francisco Center for the Book and the Bay Area Book Artists! I hope you enjoy them as much as I am.